Christianity gave me an excellent script by which to live my life, an excellent map to follow. It told me if I did A and B and C, and if I walked THIS road instead of THAT one, I would be following the footsteps of millions of others who had reached the destination and could ensure my safety. It gave me stability, predictability, an idea of what the future would hold and, to a certain extent, a feeling of control over my life and lack of vulnerability. For years, I followed that map as best I could, doing everything the church told me I ought. Until things fell apart. When things fell apart, I let go of everything the church, my society, and the world around me had ever taught me about who I ought to be and what I ought to think and determined to travel (to the best of my ability) my own path, doing everything I could to listen to that still, small voice inside, the voice I call (for lack of a better word) My Soul. I have a feeling it could also be called Holy Spirit. Too often, over the years, I’d ignored this voice in an effort to be “right” according to the opinions of those around me. Now, I stopped listening to the opinions of others. Stopped asking for permission. Stopped explaining myself. I started saying “no” more often and started saying “yes” more often. I did the next thing I felt led to do, and then the next, and then the next. Then one day, I ended up in a place I never thought I’d go, a place the church told me God would never lead. During this time, I struggled not only to understand my experience, but to figure out the “right” thing to do. Finding myself in a place I never thought I’d be, everything seemed too big, too complicated. I couldn’t possibly take THIS one step at a time. I had responsibilities, obligations. Somehow, I had to come up with a plan, find some path to follow, figure out the destination. I spent a miserable few months trying to do just that, until a friend convinced me to do something that, by all accounts, seemed exactly the “right” thing to do. So I did that “right” thing… and everything grew worse. Much worse. Inside, I felt myself screaming and one day I stopped and listened. Really listened. Tears rolled down my face as I realized, she’s been screaming for years. I am coming to believe that the destination is not mine to know. I am coming to believe I can only ever know the next right thing, and then the next, one right thing at a time. Not the next right thing for my husband, or my friends, or even my children, but the next right thing for myself. Step by step, day by day, moment by moment. God, The Universe, My Soul, The Holy Spirit, whatever I want to call It, this Higher Power knows about the people in my life and I am coming to believe that by doing the next right thing for me, I am also doing the next right thing for them. I think I am beginning to understand what Joseph Campbell and John O’Donohue and (dare I say it?) Jesus meant when they spoke of the path as narrow and unseen. Where religion gives a map, The Spirit gives the next step, and only the next step. Should I choose to take it, there will be no one on the other side to cheer me, no one to tell me it’s all going to be okay. Religion gives a picture of the journey. The Spirit extends an empty canvas. And that is terrifying. I once heard someone say the Universe is always trying to push us toward the direction of our own growth. If this is true, what is happening to me now makes sense in a way few things ever have. It’s as if a match has been lit to a kindling gathered to destroy the straw house religion and popular opinion had me build. My husband recently said he feels I’m not the same person I was when we got married. He’s right, I’m not. 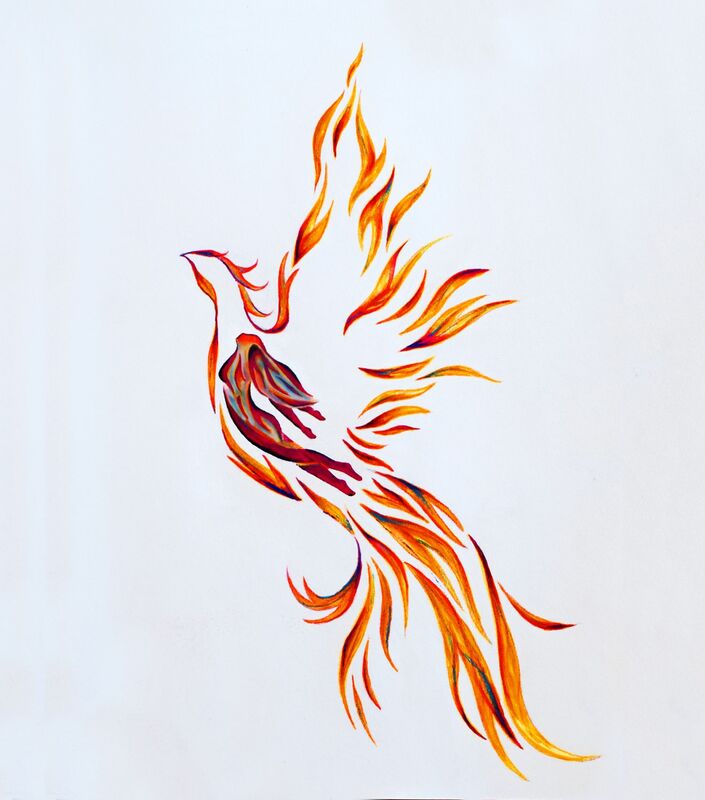 I am Phoenix, rising from the ashes. This entry was posted in Criticism, Faith, Healing, Miscellaneous, Perfectionism, Victory Journal. Bookmark the permalink.